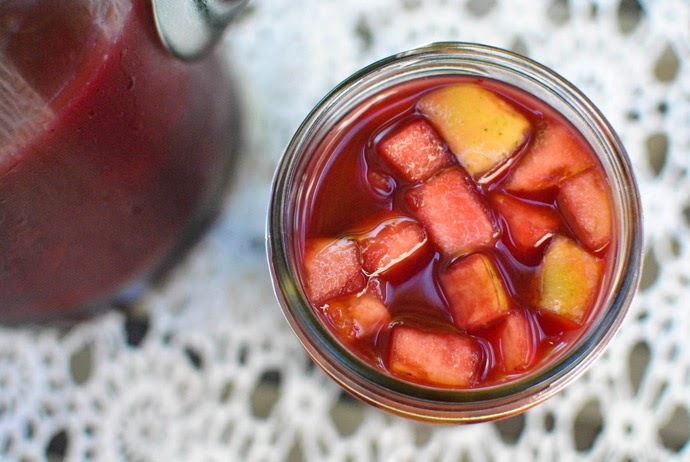 Last summer when I was living in Texas, I made sangria with my aunt. I had never had it or made it before, but the idea sounded like fun. It was delicious and refreshing, and ever since then I have been wanting to make it on my own. 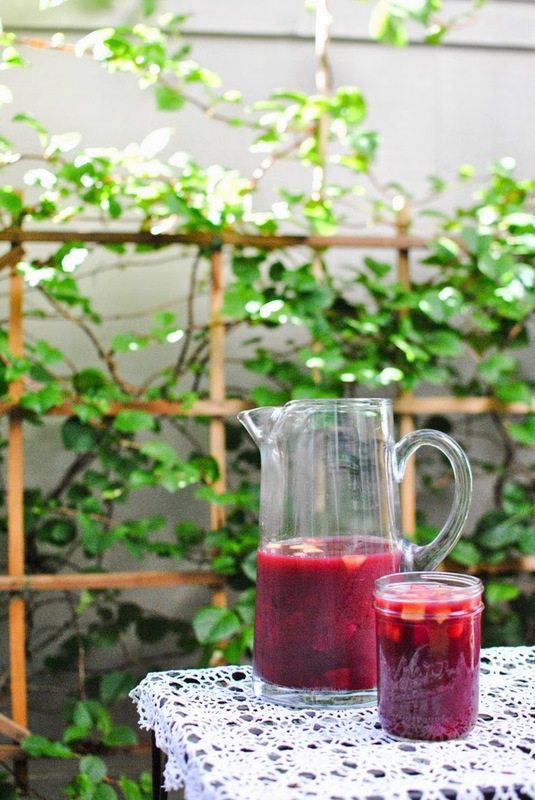 I also knew that I needed a great pitcher to make it in and was very excited when I found this one on sale at Target (which is actually called a sangria pitcher on the box!) that came with a set of four goblet glasses (here is a link to similar one). 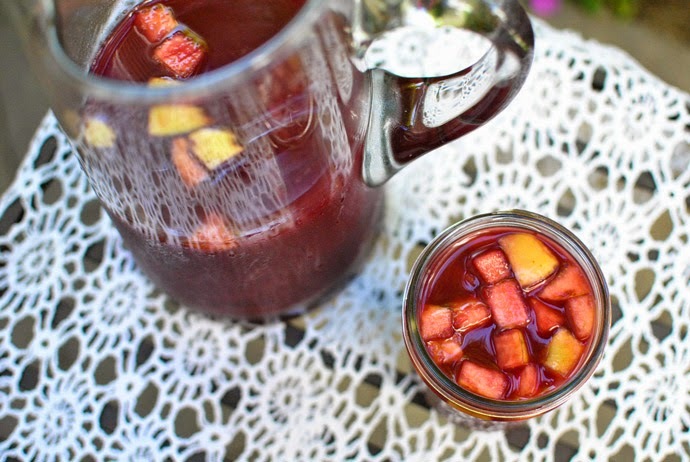 So I started planning my sangria making adventure! 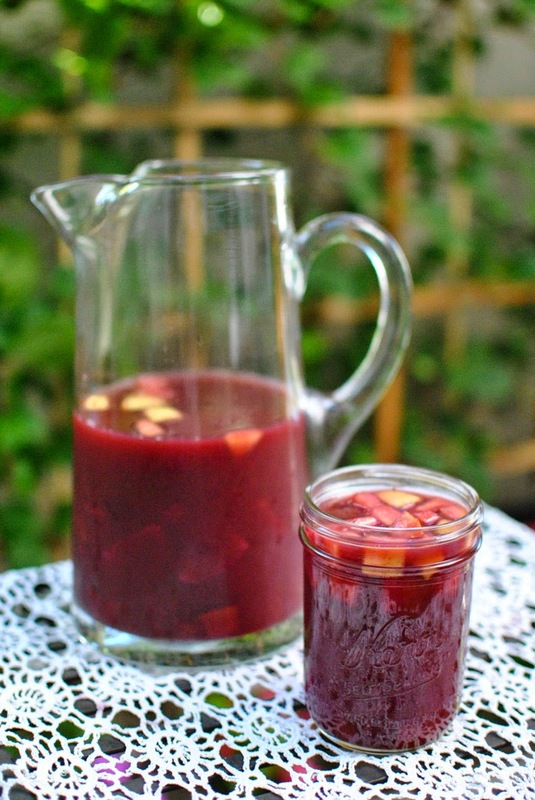 The wonderful thing I have found about sangria is that you can really put whatever you would like into it or whatever you have on hand. For this batch, I only bought juices and wine specifically for the purpose of making sangria. The fruit was just things I had on-hand or would normally buy to eat on its own. 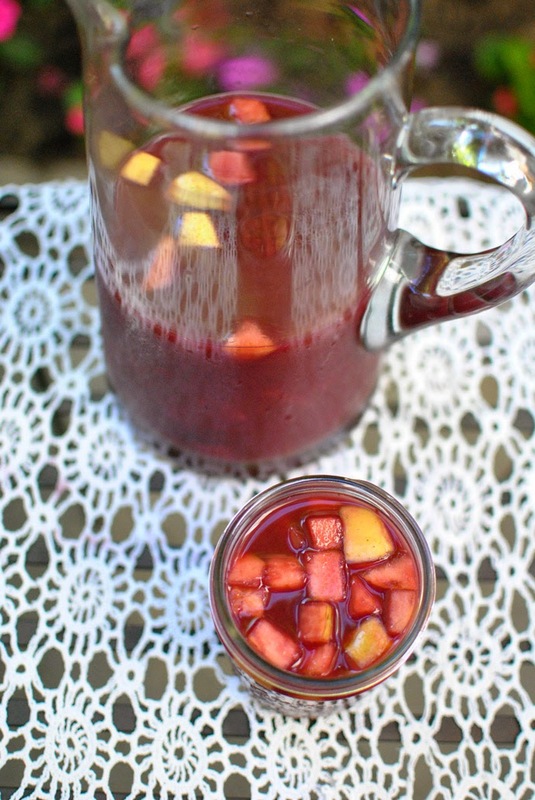 To me, sangria is the perfect summer drink to relax with! 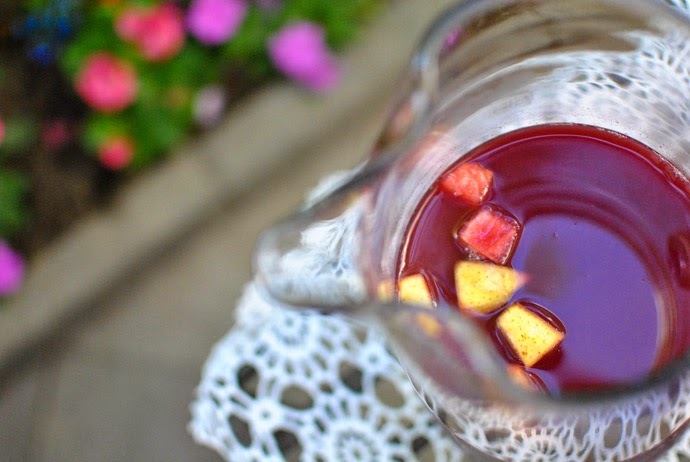 The fruit adds a nice juiciness and crunchiness that I love, and the best part is that the drink just gets better after sitting for a day or two. 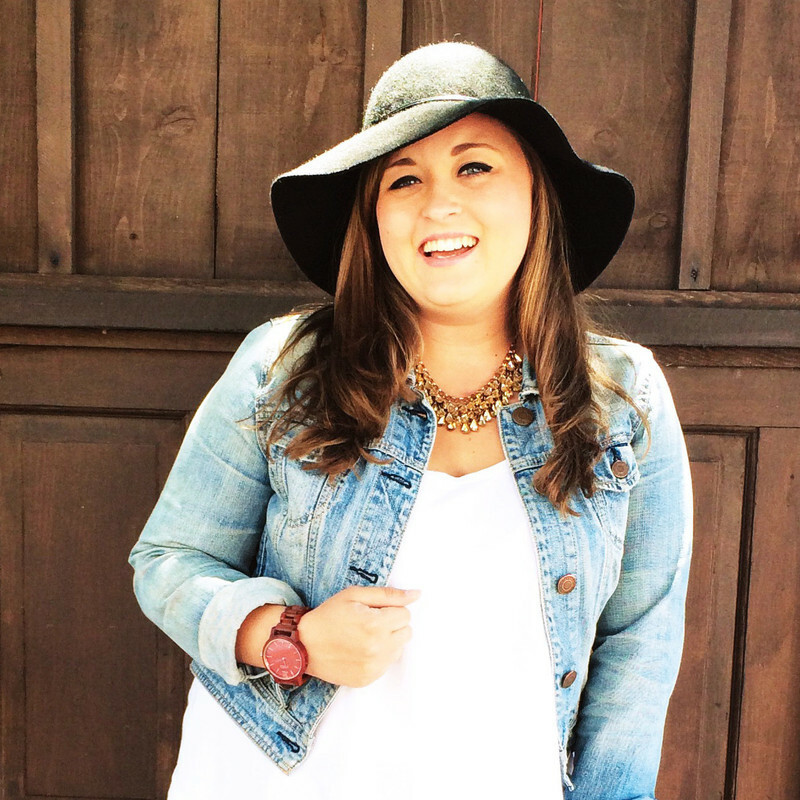 It is so easy to throw together in a pinch and is a real crowd pleaser! *All fruit is optional, of course, if you prefer not to have any in yours! Now that I have made one batch, I can't wait to make more! It is especially fun since I have my set of goblets (which I forgot to use in these photos!) and a pitcher! I feel particularly domesticated being so excited about something as simple as a drink ware set, but hey it's the little things, you know? Very excited to start experimenting with white wine, different types of juices, and more selectively picked fruits. So fun! Also, it was fun to practice photographing drinks! Styling food shoots is definitely something that I want to get better at. I need cute napkins and other little props! Miss Katie over it Lublyou is such a pro. I am always so impressed with her food photos! 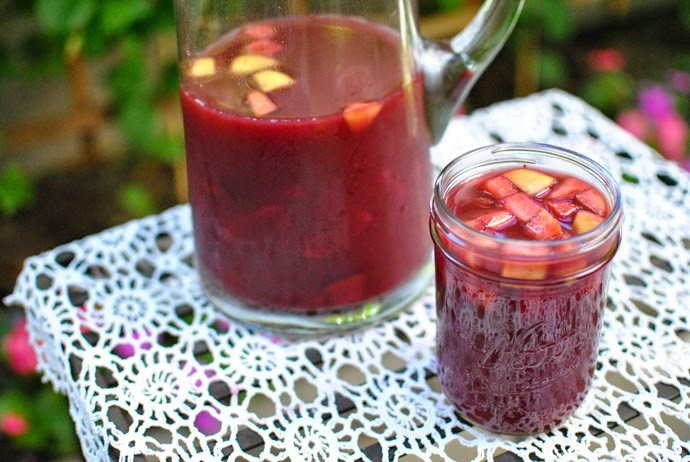 Are you a sangria fan? Have you ever made it before? What is your go-to summer drink? 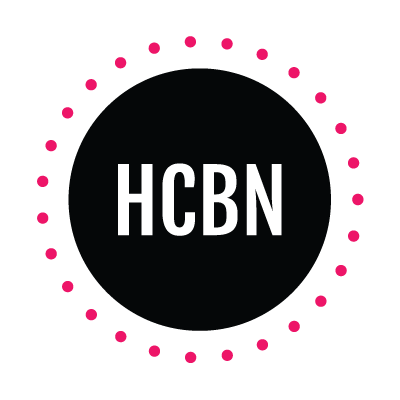 Either alcoholic or nonalcoholic! My coworker adds brandy and Chambord to hers and it is fantastic! Oooo that sounds pretty interesting! Gonna keep that in mind for future batches! The student has become the teacher!